As a city, Kuala Lumpur has a lot to offer to its visitors. From temples, massive shopping malls, lake gardens, bustling markets to former world-record buildings, you will find that there is plenty to do in the capital before proceeding to other prominent Malaysian destinations. In our other article about Kuala Lumpur, we presented a sample itinerary that features some of the must-visit sites in the city. To compliment the previous write-up, this article discusses the different means of getting around Kuala Lumpur. The main train station in Kuala Lumpur is called KL Sentral. That is right, the name is spelled with an ‘S’ because it uses the Bahasa Malaysia language. In Malaysia, it is very common to use English-originated words but with the Bahasa Malaysia spelling. 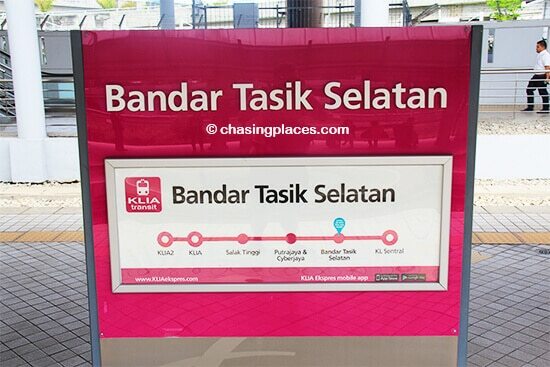 KL Sentral is the central point where all train lines servicing the city converge. These include the airport train lines — KL Transit and KL Express. The other train lines include the KTM Commuter, the LRT and the KL Monorail. All these lines go to different points throughout the city center. Thus, if you’re planning to explore the center, which is referred to as KLCC, then you can easily reach it if your starting point is KL Sentral. The KTM Commuter is the line you take if you want to visit the Hindu Temple Batu Caves. Kuala Lumpur can have devastating traffic jams especially on the roads that go to and from downtown. 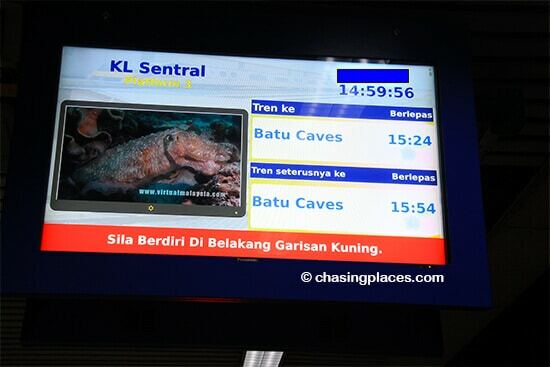 Thus, during peak times: 8:00 am-10: 00 am and 5:30 pm – 7:30 pm; it’s often smart to go from KL Sentral. There are many good hotels that are located within the KL Sentral area. Aside from the ones in key downtown areas, the KL Sentral vicinity is one of the best spots for tourists to stay in. KL Sentral is also just walking distance to Kuala Lumpur’s Little India. The vicinity within the Petronas Towers is called KLCC. This is a convenient area to stay in because major malls and attractions like KL Aquarium, are within walking distance. 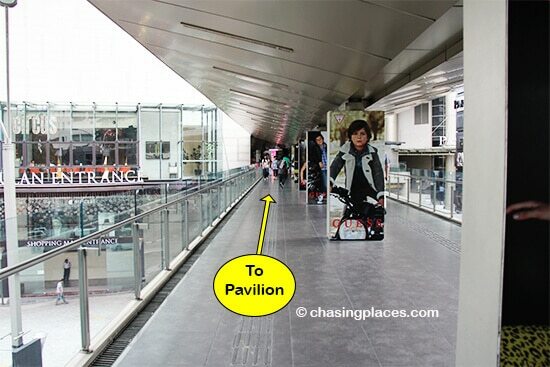 There is also an LRT station just underneath the KLCC Suria Mall. Another popular neighborhood near KLCC is called Bukit Bintang. It is home to the famous food street Jalan Alor and nightlife spot Changkat. It also has its fair share of hotels and malls including the classy Pavilion and Low Yat Plaza, a shopping center dedicated to selling all sorts of electronic-related products. Despite its popularity, Bukit Bintang looks grimy and in some places, dirty. Don’t get us wrong, it is fairly safe to walk around, but this is the part of downtown that will mostly make you feel that you’re indeed in a developing country. While walking around Bukit Bintang, it’s common to find homeless people, street vendors selling fake or stolen goods, narrow shadier alleyways, dilapidated buildings, and girls with skimpy attire offering massage services. Although Bukit Bintang is definitely rough around the edges, many tourists walk around this area day in and day out. Despite Kuala Lumpur’s massive development and world-class high rises, its roads are poorly designed for cyclists and pedestrians. Some roads don’t have proper sidewalks. One of the best things the local government did for tourists was to build a walking air-conditioned bridge that connects KLCC Suria Mall to Pavilion Mall in Bukit Bintang. To avoid the traffic and street congestion, we highly recommend that you use this overpass. The walk is more than 1 kilometer but we assure you that it’s worth the effort. Taking a Taxi in KLCC – Don’t Do It! One of the main reasons why you should definitely make use of the air-conditioned bridge to go to and from Bukit Bintang and KLCC is to avoid being scammed by taxis. 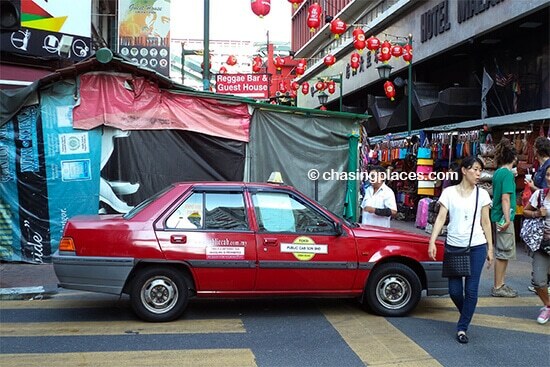 KL’s taxi services are often described to be one of the worst in the world. Of course, it is wrong to generalize as there are honest drivers out there. But the honest ones are rarely, if ever, in the KLCC area. Whatever you do, don’t hire a taxi parked in front of the Petronas Towers. Taxis in KL are mandated by law to use their meter, but this rule is something drivers in this particular area don’t follow. These drivers park all day and wait for the right tourists to ‘scam’. If you ask a driver to take you from KLCC to Bukit Bintang, they will most likely quote a price that’s three to four times more than the actual cost. The actual journey may cost you 10-20 RM if the traffic is really bad, but drivers will probably ask you for 40-50 RM. Chinatown, which is mainly composed of Petaling Street in the Puduraya (Pudu Central) neighborhood, is one of the main tourist sites in KL. It cuts through Jalan Sultan and Jalan Pudu, and is within walking distance to other sites like the Sri Mahamariamman Temple, Merdeka Square and Central Market. Unfortunately, there is no train service that links KLCC directly to Petaling. However, you can take the LRT Kelana Jaya Line to Pasar Seni Station, which is very close to Central Market. From this spot, you can walk to Petaling Street. Another way to reach Petaling Street from KLCC is to take the KL Go-Bus. This is a brilliant service that helps tourists bypass the need to hire taxis. The best thing about KL Go-Bus is its absolutely free. It serves two lines, which are classified by the colors purple and green. The green lines stops at KLCC. 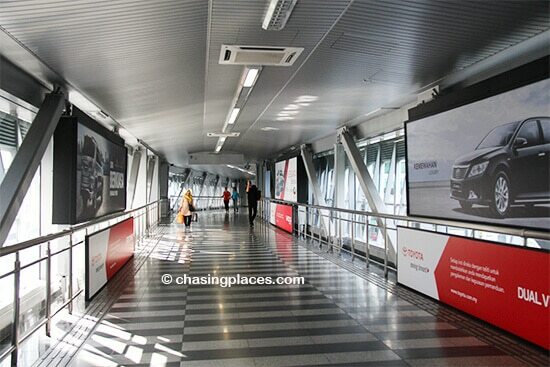 It picks up passengers on the right hand side of the Petronas Towers’ main entrance. The disadvantage of taking the KL GoBus is that it has several stops and basically circles around the downtown. The green line does not go to the Petaling Jaya area but instead, goes to Bukit Bintang. However, you can get on the green line bus at KLCC and get off at the Ain Arabia stop. You can wait at the same stop for the Purple line bus, and get off at Kota Raya Mall. From the Kota Raya stop, you only need to walk 5 minutes and look for the McDonalds by the main road. Petaling Street is just across this main road. Because of the perennial traffic jam and the stops, it takes about 40 minutes for you to reach Petaling Street even though the neighborhood is not actually that far away. However, if you are not in a hurry, riding the KL Go-Bus is actually a good way for you to see the downtown assuming you can get a seat with after competing with locals using the free bus service which was designed for tourists. Taking taxis from Petaling Street and the surrounding area is also a headache unless you are willing to pay whatever the driver demands. It extremely difficult to find a taxi to use the meter. To have better luck; walk away from Petaling Street, towards the main road, the farther you go from the tourist area, the better your chances are. However, a smarter option is to make use of the wonderful services that technological advancement is offering nowadays. Using your smartphone, you can download an app called MyTeksi. This easy-to-use app allows you to request for a taxi to pick you up at your preferred location. MYTeksi drivers use the meter, and you are only obligated to pay an extra 2RM for the request. The shared economy apps GrabTaxi and Uber are widely used by tourists, expats and even locals in Kuala Lumpur. These companies’ customer service is generally good and reliable. Our experience of getting around KL has become significantly less stressful because of these apps. To be able to use 3G technology, consider buying a Malaysia SIM card. The SIM card and 3G costs are not expensive, and in our opinion, definitely worth it. One company Hotlink, offers 7-day data for only 10 RM. Other companies to consider include Maxis, Digi and Tunetalk. Where do we stay when we visit Kuala Lumpur (as tourists)? Whenever we have the opportunity to visit KL for leisure we focus on a few priorities when it comes to finding the right room. We like the KLCC area, but also Bukit Bintang as well. Therefore, a hotel between these two places is something we look for. 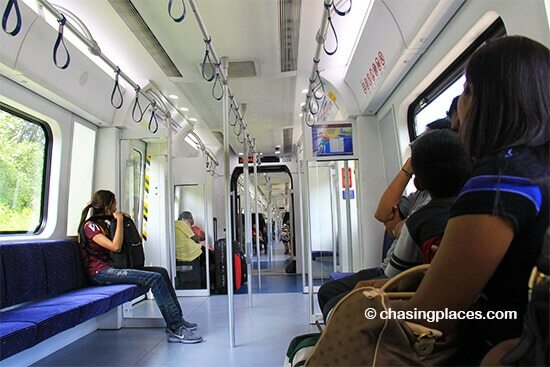 Also, since KL can get quite jammed at times, being close to the LRT or Monorail lines is also something we look for. That provides easy access to KL Sentral and other areas of the city (not to mention the airport – KLIA/KLIA2). The last few times we have stayed at the Pacific Regency Hotel Suites. We don’t have any direct affiliation with this property, or any property in KL for that matter, so our opinion is an unbiased one. Overall, we consider it to be one of the best room bargains we have ever purchased online. Some of the rooms are simply massive and it’s located right beside KL’s skytower (right in the vicinity of the Shangri-La Hotel). This is about a 10 minute walk to KLCC and a 12 minute walk to Bukit Bintang and Pavilion Mall. You can reach the monorail within 5 minutes from this property. If you’re looking for ultra modern interior decor then you might be better off at the Ascott Kuala Lumpur. At the time of writing the Pacific Regency Hotel Suites had a respectable 8.0/10 score based on over 8000 verified guest reviews. How to get the cheapest rooms in Kuala Lumpur?